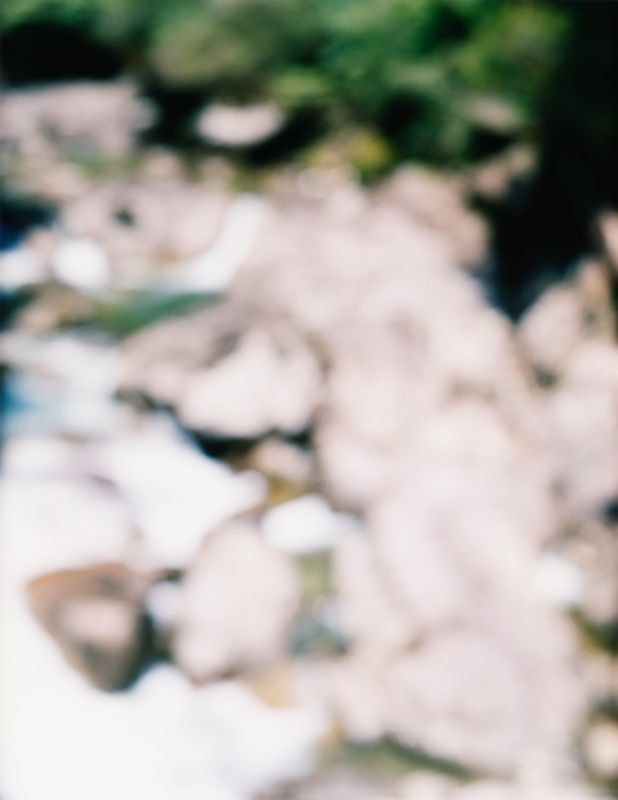 Yoshihiko Ueda is a photographer who staunchly refuses to be described as an artist. 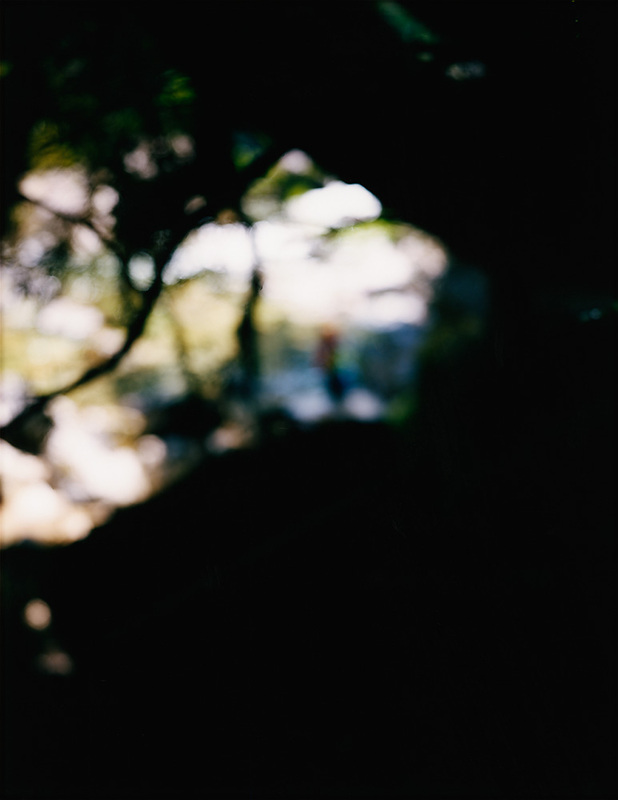 I can see him now, a large box camera on his back, climbing up the mountain paths of Yakushima. 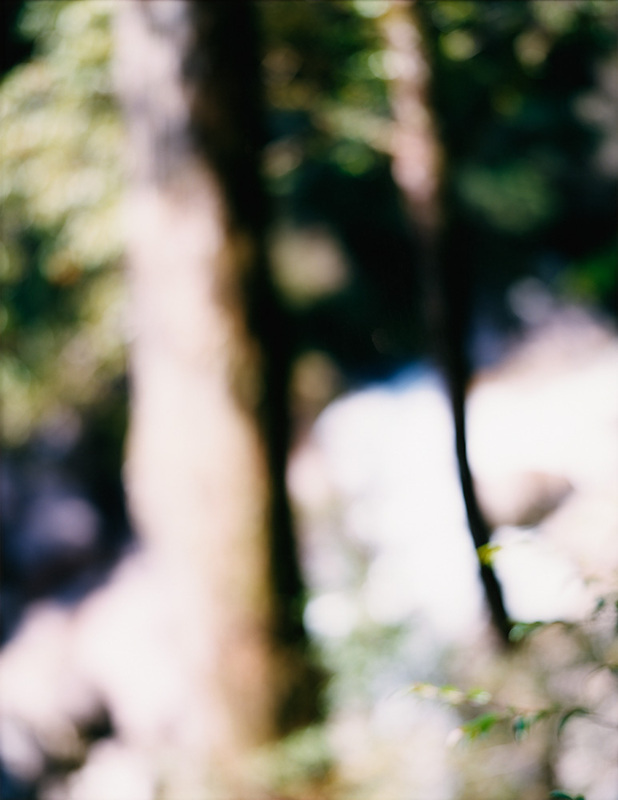 He once did that in the sacred land of the native North American Quinault people, but what is important is that he has never been what the world calls a “nature photographer.” “Going into the woods” is an essential part of the photo-taking process for Yoshihiko Ueda, something more than just study or training. It is something to do with what is at the core of the photographs conceived by him. 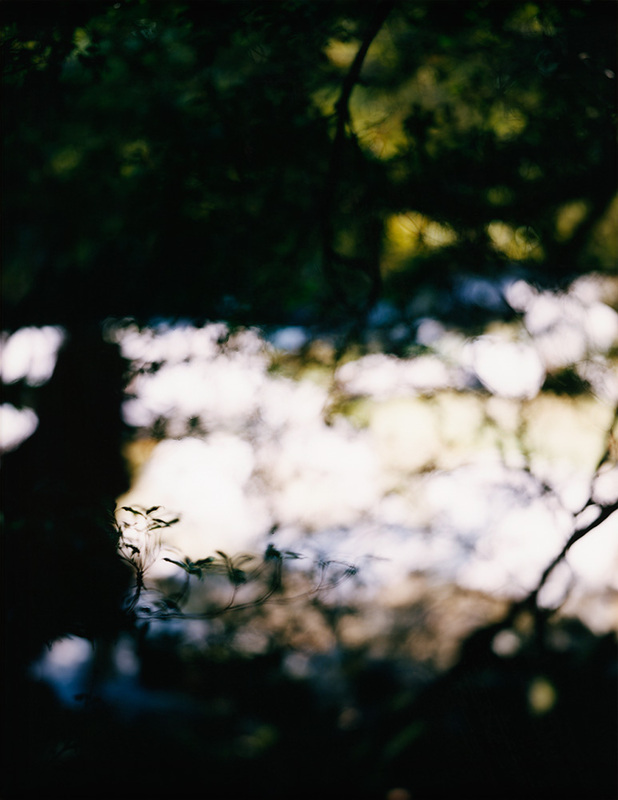 What do the woods signify for photographer, Yoshihiko Ueda? Having followed his pursuit, I’ve been thinking about that. And now, with his “M. River” series of photographs in front of me, I feel the urge to think about it again. A photograph captures an image of something but it’s not really that simple. We see things. We recognize things visually through our eyes. We store the visual images that our eyes have captured. Taking this idea to an extreme, the urge to take photographs existed long before the mechanism of the photograph existed. The writer Marcel Proust referred them as “latent images,” but the fragments of his thinking about photographs tell us about the “sense of realness” around the time photography came to exist. The various forces of processes such as “seeing” or “watching,” or a “gaze” or “image” were dynamic forces inside human beings before the advent of photography. Because the “innocent mechanism” of the photograph is an innocent “other party” for human beings, it imparts grace and favor to human beings. There are a number of such graces. Take the “gaze” for example. A photograph is a record of something but in actual fact, it a record of the “gaze” of the person taking the photograph. You can understand the “gaze,” by, for example, looking at someone who is looking at some scenery. I am looking at something in the same way as he is looking at something, and that is becoming aware of the “gaze.” I am looking at the world but the device of the photograph reconfirms for us what we are seeing. The gaze is “objectified” and we are made conscious of it. In that sense, a photograph is nothing more than something with which to visualize the urge that was already inside us before the advent of photography and to give that urge inside us some kind of form. The amazing “power of photography” relates not only to the detail of the subject but also transmits the “gaze.” Photo collections and prints enlarge your immersion in the “gaze ”of other people, something that was pointed out by the psychoanalyst Jacques Lacan and which inspired Roland Barthes’s approach to picture-taking. 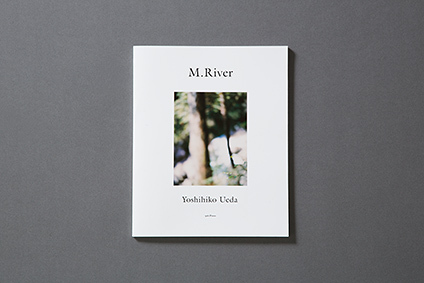 Yoshihiko Ueda’s “M River,” is a reenactment of “the power of photography in its origins” described above. The act of seeing as written in the East – as both 見る (to see) and 観る (to watch) – could also be described as the objectification of the “gaze.” The “half-closed eyes” or “introspection” in Zen and Esoteric Buddhist meditation rids one of evil thoughts by extrospection and is regarded as a process for finding the truth of the world and of oneself. Where the world and oneself coalesce and are regarded as one, there is “enlightenment” or a “state.” Suffering is part of that, but we are suddenly thrust into the innocent “other party” grace and favor of the photograph. There may be more than a few people who think in this way about the photographic process, but when you consider the uniqueness of Yoshihiko Ueda’s photographs, I realize that they are forced to think in this way. The reason photography came from Western civilization was not because of ideas. Now in the 21st century, however, photographs have become an important device for regenerating or newly generating the world. Ancient wisdom and animism are, on the contrary, an opportunity to open up the future. 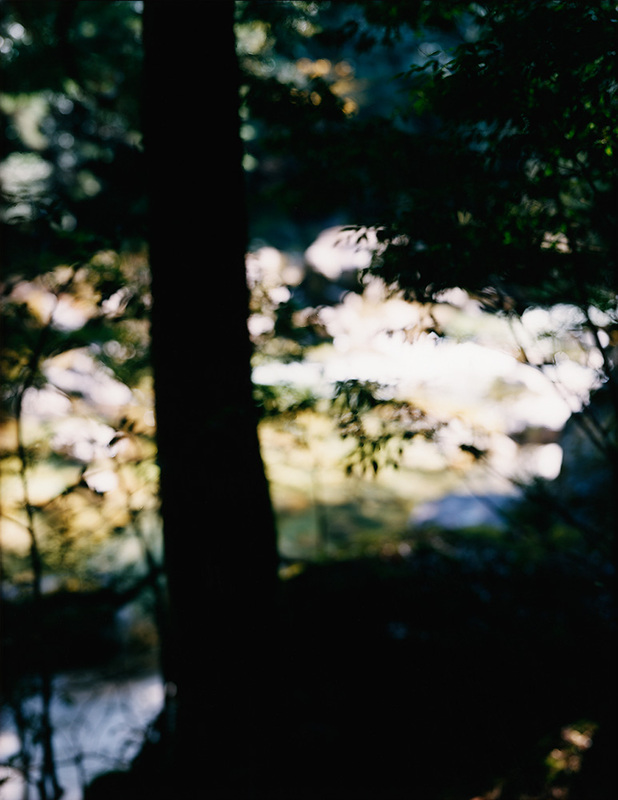 The photographs in “M River” were taken with a tripod in a place where I think Ueda could see and feel something in the forest. He didn’t know the reason or the answer “beforehand.” None was given. But Yoshihiko Ueda touched the image and endeavored faithfully to visualize it. In the background to that, there is humility for what we call the world. The form that humility takes is reminiscent of the beautiful instinct of the people of the ancient world to appreciate the blessings of nature and to cherish the cycle of give-and-take. While many other photographers are stuck in their small egos and their self-expression, the secret that has acquired the power projected by Yoshihiko Ueda alone can be found here. The masters of Noh and Kyogen talk about “riken no ken,” meaning to watch oneself while one is acting. Conversely if you detach yourself from yourself, you become one with the world. It could be said that an ideal form of the “gaze” was being created from before the advent of photography. The reiteration and reenactment of Yoshihiko Ueda’s “into the woods, out of the woods” will probably go on, but for him, it is the act of always returning to the cycle that photographs fundamentally possess (it is that that gives him the greatest joy and happiness). He is not a photographer who travels horizontally seeking to find the form that nature shows us (a collector of images). He is a photographer who travels vertically back towards to the origin. But why the woods? What does “into the woods” mean? “Into the woods.” When I think about Yoshihiko Ueda going into the woods, it makes me remember something Henry D. Thoreau wrote. Thoreau thus enters the woods to go fishing and hunting. In 1845, he moved to Walden Pond and continued to live there for two and a half years as he learnt about the grace and favor of the woods. His book Walden: Or, Life in the Woods is a written record of the life and spirit of a “civilized man” who “enters the woods and leaves the woods,” which strongly influenced hippie culture, many cultural anthropologist field workers and people who sought an organic lifestyle. We are not Native Americans, nor Jomon people. We are born in the modern world. Can we obtain that same cycle with the woods? Walden: Or, Life in the Woods can give us important guidance about that. As the hunter with a gun, regardless of whether he had done religious study, knows about the cycle of grace and favor from nature, can photographers also reach the level of such workings of nature? I wonder about this as I look at Yoshihiko Ueda’s “M.River.” Thoreau has said that people who live in the fields and the forest, in other words, people who have, in a certain sense, fully become part of nature, can encounter nature in the way nature “reveals itself.” This, however, is in any event a great ordeal. With the grammar we have acquired through civilization, the meaninglessness of confronting nature is thrust upon us ad nauseam. The photos included in the QUINAULT photo collection were ones that were placed in his hand by discarding himself. They are a beautiful record that came to exist by accepting all of the forest and humbly extolling its detail. In comparison, Materia did not stop there. It was unknown fruits obtained by moving further forward. Among the people who were expecting the sequel to QUINAULT, there are some who were puzzled. Photographer Yoshihiko Ueda, however, is a courageous person. He is continuing his journey. 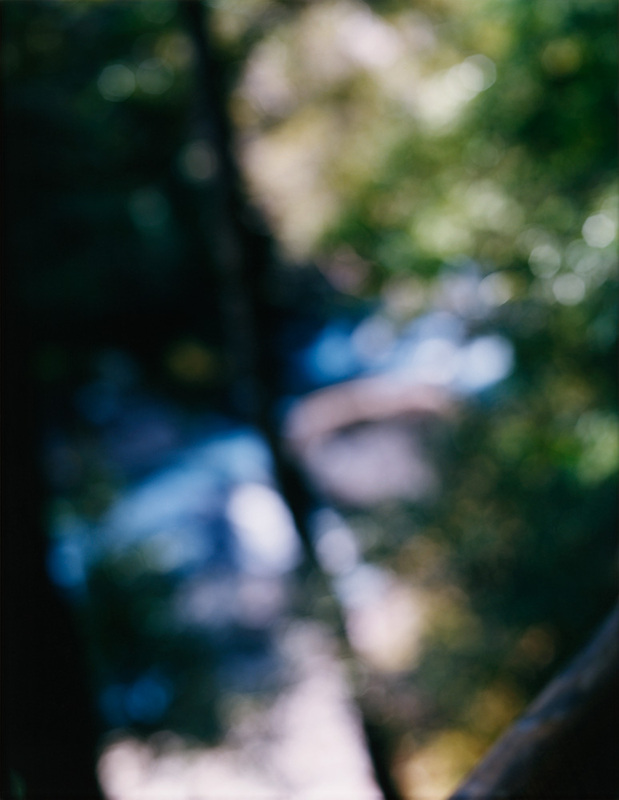 As Thoreau writes: “How happy’s he who hath due place assigned / To his beasts, and disafforested his mind!”  He is exploring the “soul of the woods.” There is a strong sense of that in “Materia” and the “M River” series. If one advances confidently in the direction of his dreams, and endeavors to live the life he has imagined, he will meet with a success unexpected in common hours. He will put some things behind, will pass an invisible boundary; new, universal and more liberal laws will begin to establish themselves around and within him; or the old laws be expanded, and interpreted in his favor in a more liberal sense, and he will live with the license of a higher order of beings. In proportion as he simplifies his life, the laws of the universe will appear less complex, and solitude will not be solitude, nor poverty, nor weakness. Thud Thoreau describes the wisdom given to him by the woods. “The license of a higher order.” As I look through Yoshihiko Ueda’s “M. River” photographs, I realize there is no better set of words than those to describe them. At the risk of repeating myself, the people who are masters of the “innocent mechanism” of the photograph receive immense grace and favor from nature. Like something seen in a dream, looking at the photograph of the river in the woods existing somewhere in this universe never gets old for me, and I’ll probably be looking at it forever. Henry David Thoreau, Walden: Or, Life in the Woods, Dover Publications, 1995, p. 136. (Thoreau quoting the poem by John Donne) Ibid., p. 142. Born 1957 in Hyogo, Japan. Graduated Visual Arts College Osaka. After working as assistant to Masanobu Fukuda and Taiji Arita, he launched his career as an independent photographer in 1982. Editorial commissions for the fashion magazine Ryuko Tsushin led to extensive work in advertising photography and commercial film production for clients such as Suntory, Shiseido, Muji, NTT Docomo, Canon, and Toyota. Recognition for these achievements include the Tokyo Art Directors Club Grand Prize, the New York Art Directors Club Photography Award, the Cannes Lions International Festival of Creativity Silver Lion for Graphic Design, and the Asahi Advertising Award. Ueda also continues to be a prolific artist. As of 2012, he has published 28 collections of his photographs. Among his most noted monographs are Quinalt (Kyoto Shoin, 1993), a brooding mediation on the eponymous sacred Native American rain forest; Amagatsu (Korinsha, 1995), a backstage study of Sankaijuku dancer-choreographer Ushio Amagatsu; Portrait (Littlemore, 2003), singular impressions of 39 leading Japanese figures the likes of Takaaki Yoshimoto, Shotaro Yasuoka and Nagisa Oshima; Frank Lloyd Wright (X-Knowledge, 2003), a portfolio of the architect's buildings documented with a Leica; At Home (Littlemore, 2006), intimate snapshots of the artist's family; Chamber of Curiosities (The University Museum, The University of Tokyo, 2006), breathtaking documentation of specimens from the museum's collection; and Yume (Seigensha, 2010), timeless, dreamlike images from a Buddhist monastery in Mandalay. 2012 brought three new collections: Materia (Kyuryudo), Ueda's latest series of primeval forest photographs taken on the island of Yakushima; Jomonese (Bijutsu Shuppan, 2012), renditions of the bones of the ancient Japanese Jomon people at the National Museum of Nature and Science, Tokyo; and Mies van der Rohe (Kajima Publishing), capturing the buildings of the Modernist master architect. 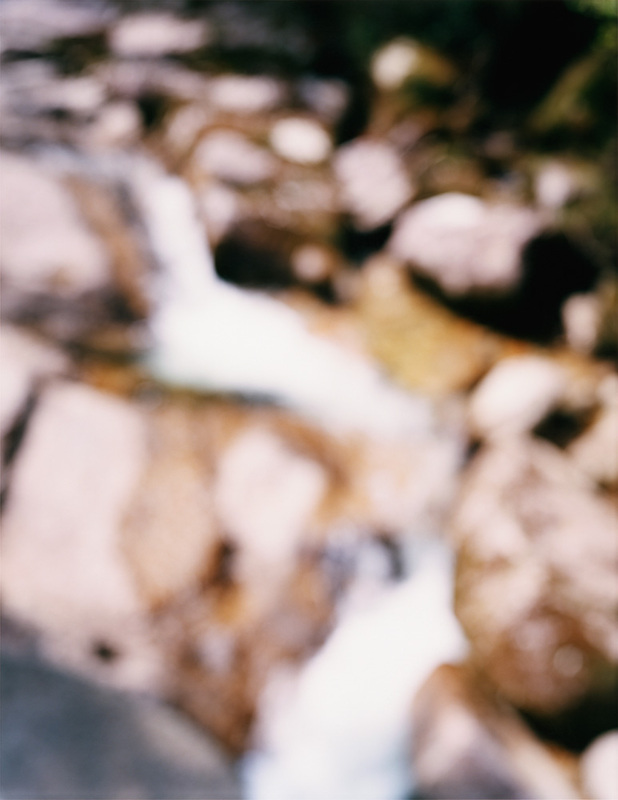 Since 2008, Ueda's work has been exhibited at Paris Photo, among other art fairs, and in 2010, his Quinalt photographs were featured in solo exhibitions at Michael Hoppen Gallery (London) and TAI Gallery (Santa Fe). His works are in the collections of the Kemper Museum of Contemporary Art (Kansas City), New Mexico Arts (Santa Fe), Hermés International (Paris), and Stichting Art & Theatre (Amsterdam). 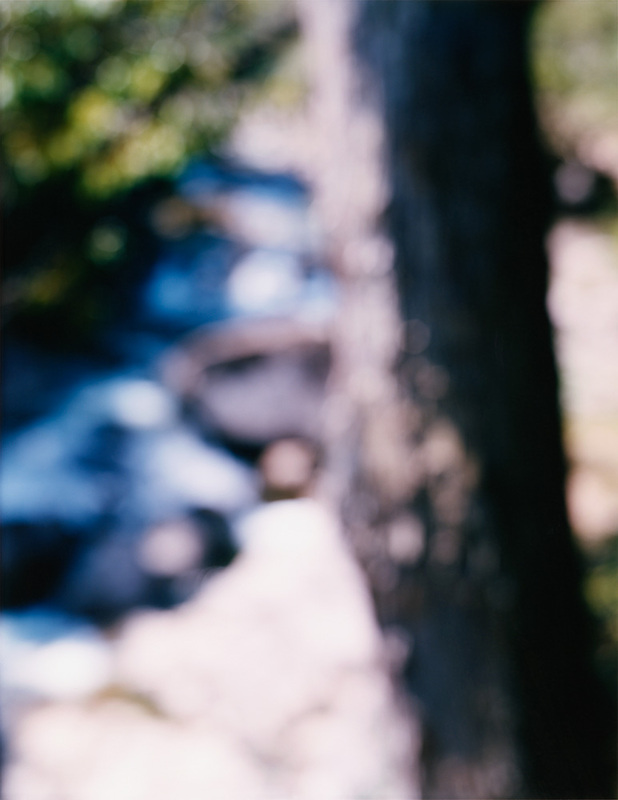 To coincide with the opening of Yoshihiko Ueda’s photography exhibition “M. River,” the photography book M. River is now available. Ueda’s search for ways to capture the origins of life as it springs from materia has gradually undergone transformation as he attempts to photograph the source of life. 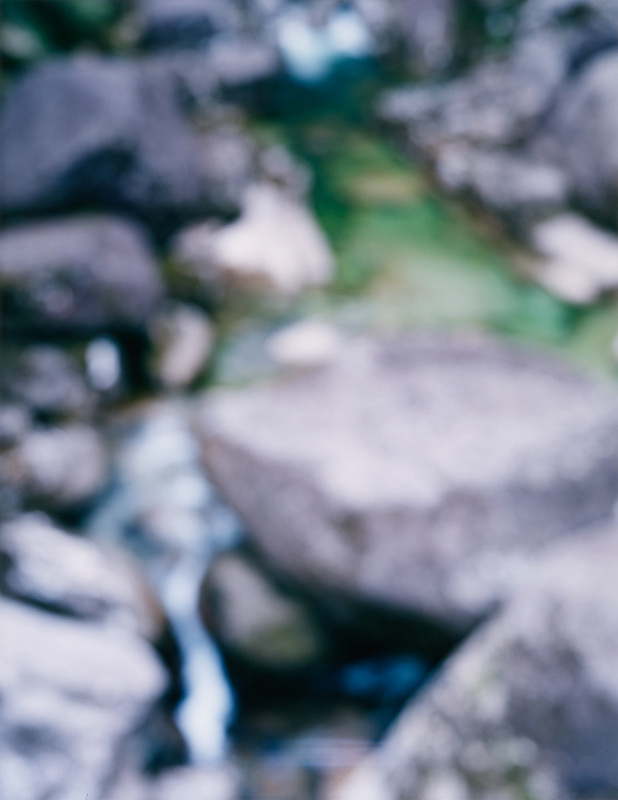 The photo-collection is a single volume containing the twenty gems photographed last year in early spring of the ancient headwaters deep in the mountains of Yakushima.